We can diagnose and replace out all the speakers and microphones in your iPad 2. 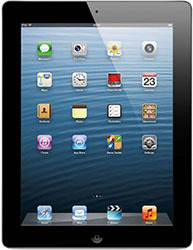 If you are suffering from any sound related issues, iMend will get your iPad 4 sounding perfect again in no time at all. Get started by calling us on 1300 046 363, filling out our online form, click the book online button or bring your iPad 4 into our shop today @ 27 Cornmeal Pde, Maroochydore QLD 4558.